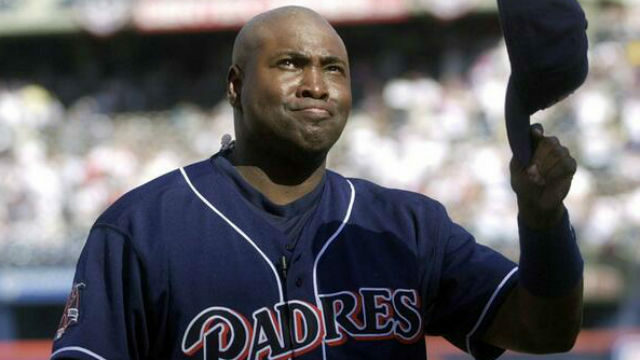 Late San Diego baseball star Tony Gwynn, actors Harrison Ford and George Takei, broadcast journalist Maria Shriver, and author Isabelle Allende were part of the eight-member 10th class of the California Hall of Fame announced Monday. The other members of the class who will be inducted at a Nov. 30 ceremony in Sacramento are former Secretary of Defense William Perry, Tower Records founder Russ Solomon and artist Corita Kent. An exhibition of artifacts highlighting the lives and achievements of this Hall of Fame class will open Dec. 1 at the California Museum in Sacramento. Shriver created the Hall of Fame in 2006 to honor Californians who have made history. Other members include former President Ronald Reagan; Brown’s late father, former Gov. Edmund G. “Pat” Brown Sr.; former Chief Justice of the United States Earl Warren, and Walt Disney. Shriver said she was “deeply humbled and grateful” to be selected. “When we created the Hall of Fame 10 years ago, I never dreamt I would be honored alongside so many people I’ve been awed by and admire,” Shriver said.